A police spokesperson said, “The public as well as businesses and their employees are reminded to be vigilant regarding counterfeit Bermuda $50 notes bearing serial number 705727 currently in circulation. 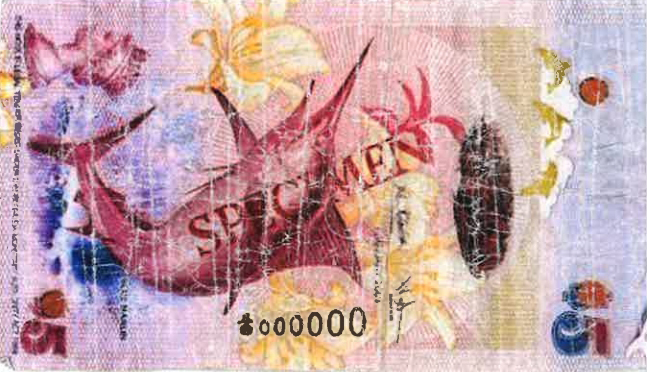 “In addition, counterfeit Bermuda $5 and $2 notes are also in circulation – both with serial number 000000 – and with the counterfeit Bermuda $5 note clearly marked ‘SPECIMEN’ in red. “Staff and residents alike should take a few seconds to examine any money they may receive, especially the larger denominations. “In particular, please check for common security features such as the paper quality and embedded BMA watermark, which is visible in light. “If counterfeit cash is detected during a transaction, the member of staff receiving the fake money should hold on to it, note the description of the individual who tendered it and contact police immediately. “Persons who may have unknowingly received counterfeit currency are encouraged to contact the nearest police station at the earliest opportunity to report the matter. “As a reminder it is a criminal offence to pass to another, possess, make or reproduce any counterfeit currency; punishable by up to five years in prison – and those caught committing such offences can expect to be prosecuted. What dopey criminal is counterfeiting $5 & $2 bills?!? Lol! There are also a couple of counterfeit politicians masquerading as people that care about you, do not be fooled. You can identify them easily by the way they avoid the truth and tell you to wait until 2025 for their big plan. They wear green ties and have chips on their shoulders please do not be fooled again. They care more about the poor and struggling than the OBA do. Fact! Absolute nonsense,they are only interested in being as fake as these bills. Not fact. They care more about themselves than the poor. Why do we even still bother with Bermuda currency? 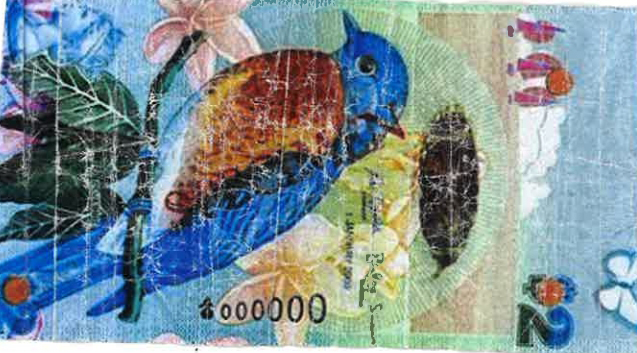 The Bermuda dollar was created in the ’70s to enforce silly exchange control rules that were scrapped in the ’90s. Why not just use US dollars, like they do in BVI, Bonaire, Panama, El Salvador, Turks and Caicos, and a dozen other places? It would save on administration and get rid of an annoyance for tourists and locals. Also, Bermuda could rely on US treasury anti-counterfeiting measures which are much more sophisticated than those used on Bermuda currency.